Girl with MS - Tips & Tools for Thriving with Multiple Sclerosis: Are you ready to make a difference in MS research? Are you ready to make a difference in MS research? There is one thing certain with my Multiple Sclerosis (MS) and that is to help as many people as possible learn to live better despite their illness. This includes helping the medical industry find answers. Helping others provides a purpose in life and allows me to say #takeTHATms! 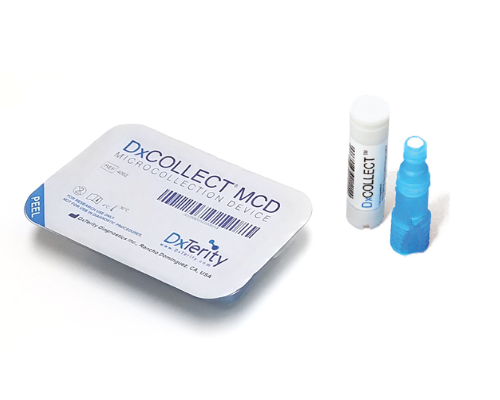 One company looking for answers is DxTerity, which is developing genomic tests to help people with MS better manage immune-mediated diseases. They are currently recruiting people with multiple sclerosis for a unique research study called EMPOWERStudyMS. EMPOWERStudyMS is collecting blood samples from MS patients across the U.S. to help identify biomarkers and other gene expressions among patients; what is termed genomic testing. If you’ve been diagnosed with MS you can join this groundbreaking research to help researchers develop an at-home blood test to monitor MS disease activity. Click here to learn how you can participate. I did. Participating in the study is easy and can be done from the convenience of your own home. You won’t have to visit a clinic at all! Answer a few health surveys online and collect a few drops of blood with a simple, fingerstick collection kit. Drop the kit in the mail and you’re done. Well, my EMPOWERStudyMS kit came and I did it! Caroline Craven @thegirlwithMS opens her kit and explores the contents for her EmpowerStudyMS kit. Compared to all of those daily injections I used to take for my MS, the finger prick was a cakewalk. I pricked my finger, collected blood and sent off my sample. Easy peasy for the most part. My problem was that my blood did not cooperate as best it could. The instructions were clear but fear my cognitive fog kicked in a bit and caused some problems. My fingers did not warm up properly and the blood barely trickled out to be collected. The second lancet was good to have but I should have waited till my hands were warmer. I am not sure enough blood got collected but we will find out. The folks at EMPOWERStudyMS were very nice and are sending me another kit so we can confirm a better collection. I greatly appreciated the human connection for all of my questions and answers. This is a research study, and we are “just a number” but you would never know that by the kind of service being provided. Feeling quite special to be a part of this important event! During the intro video I got the blue lancet mixed up with the blue collector container. But got it straightened out when it came to it. One of my mantras this year is to be part of the solution, not the problem. I am now part of the solution. You can be too!